The Waste A Moment four-piece have confirmed five shows for February next year. Kings Of Leon have announced UK Arena dates for 2017. The Nashville four-piece will tour their brand new WALLS album in February next year, visiting the likes of Leeds, Birmingham and Glasgow. 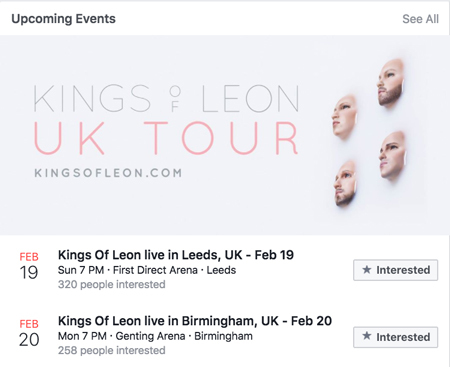 The news was posted on the band's official Facebook page in the "upcoming events" section. London dates are yet to be announced. Meanwhile, the band recently shared the making of their seventh studio album, featuring interviews and studio footage. WALLS - which stands for We Are Like Love Songs - is set for release this Friday, 14 October. Tickets for the show go on sale on 20 October from 10am.